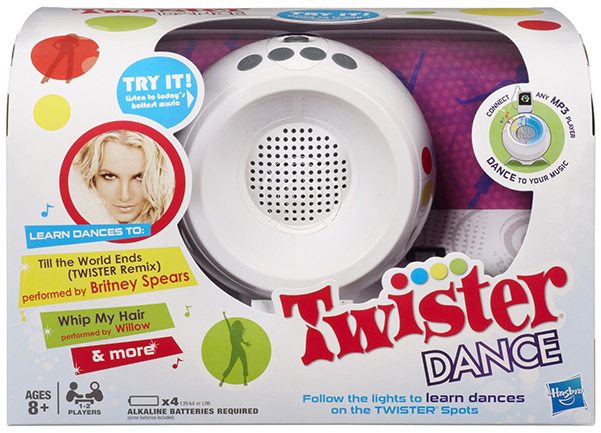 Rock the spots to today's hottest music with the Twister Dance Game. Learn dances by following the Twister spots to songs like Till the World Ends by Britney Spears or Whip My Hair by Willow. Or dance to your own music by connecting the game to any portable music player. Practice by yourself or show off your moves with a friend. Rock it out with Twister Dance.